Since 1987, Superior Landscape Inc. has been providing clients in Marblehead MA and Swampscott MA with reliable and professional Landscape Services. Superior prides itself on its exceptional customer service. We are dedicated, punctual, and experienced. Our services include lawn and plant installation, lawn maintenance, lawn renovation, fertilization, and aeration. 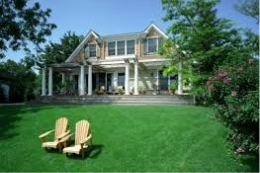 Superior Landscape provides customized lawn maintenance, lawn fertilizing and lawn renovation/seeding programs to meet the growing conditions of your lawn. Maintain the beauty of your garden and mulch beds with mulching, weeding, edging of beds and pre-emergent weed control to lessen weed germination. There is nothing like seeing your property all cleaned up after a long winter or after all the leaves have fallen in the fall. Bring your property to life this spring or fall.